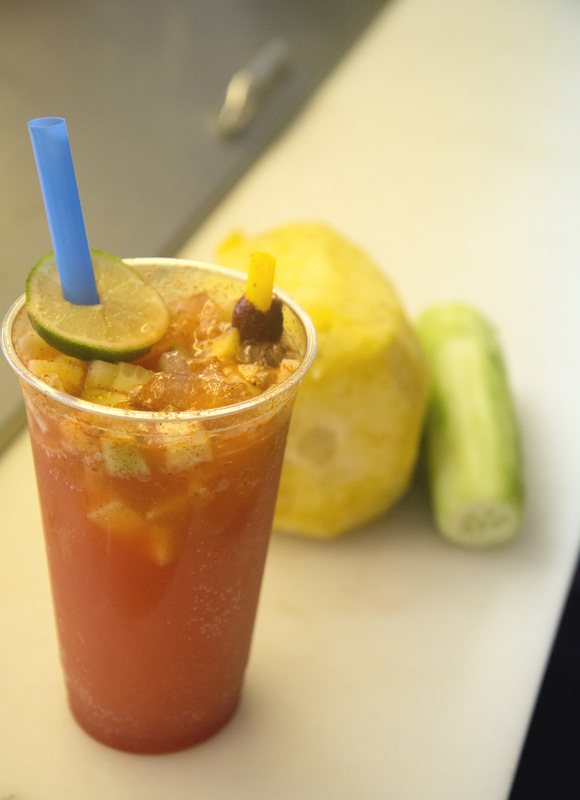 In an ever-changing East Austin scene, two friends have created a business that brings some authentic, south-of-the-border street flavor to the heart of Texas. 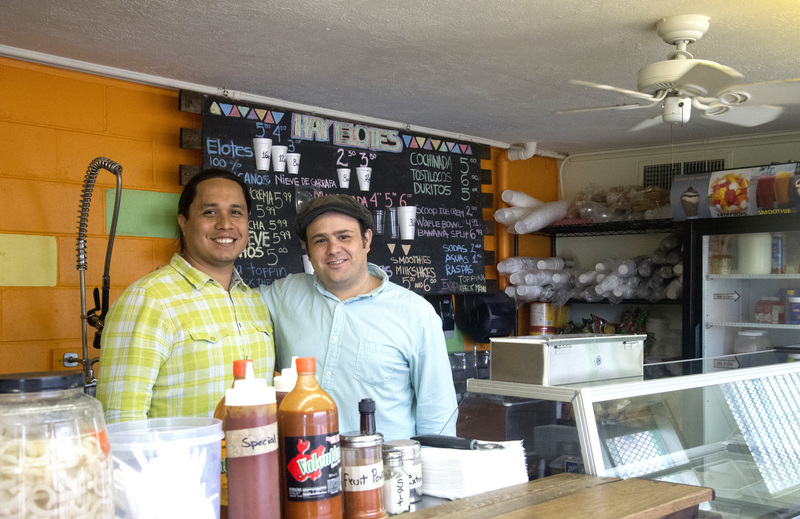 Ivan Gonzalez and Jose Luis Cardona are the pioneers of Hay Elotes, a small refresqueria off of Seventh Street. In English, Hay Elotes means “there is corn,” which is exactly what Gonzalez and Cardona specialize in — Mexican white corn. About a month later, they were already speaking with the City of Austin about getting permits for their new venture. Once the logistics had been taken care of, Hay Elotes opened in November, featuring the unique taste of the Mexican white corn as its main product. Not as sweet as typical yellow corn, white corn is the perfect ingredient for the popular Mexican street food known as elote or “corn in a cup.” A mixture of corn, mayonnaise, queso fresco, butter and chili sauce, corn in a cup is a staple of traditional Mexican street cuisine. “We thought people would love the Mexican corn because it’s something different, and then we decided to go ahead and do everything else. 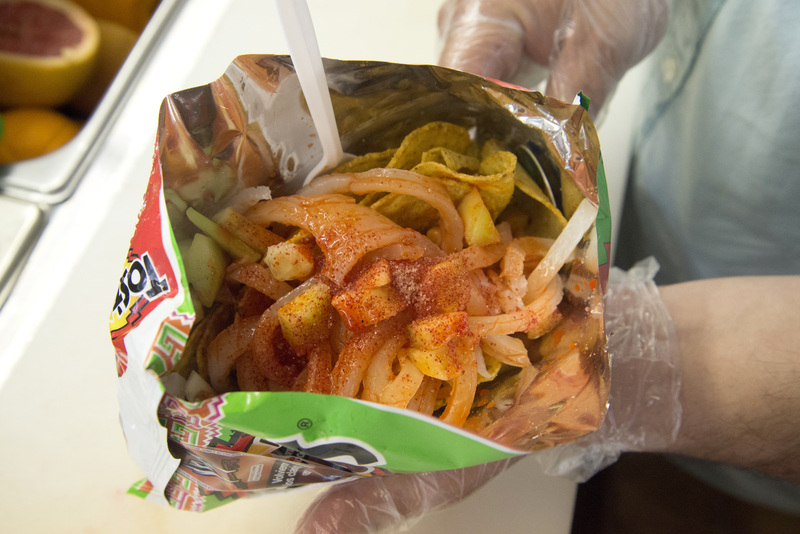 The idea started with the corn, but then we remembered all the neighborhood snacks in Mexico, and we knew people would love those too,” Gonzalez says. Staying true to its traditional Mexican flavors, Hay Elotes is a cozy and colorful establishment, with rustic benches and counters and the menu handwritten on a hanging chalkboard. The colors of various fruits, vegetables and ice creams adorn the shelves.“Everything you see here we did with our own hands. From painting, remodeling, and even the plans for the City of Austin, then to opening the place and promoting it, it has definitely been a short, yet long adventure,” Gonzalez says. Outside, wooden tables and chairs wait for customers to sit and enjoy their authentic-style snacks. Gonzalez says their customers range from neighbors three blocks down to people driving all of the way from San Marcos and Georgetown. “We have a lot of people who have never tried this kind of food before, and they come here and end up loving it,” he says. 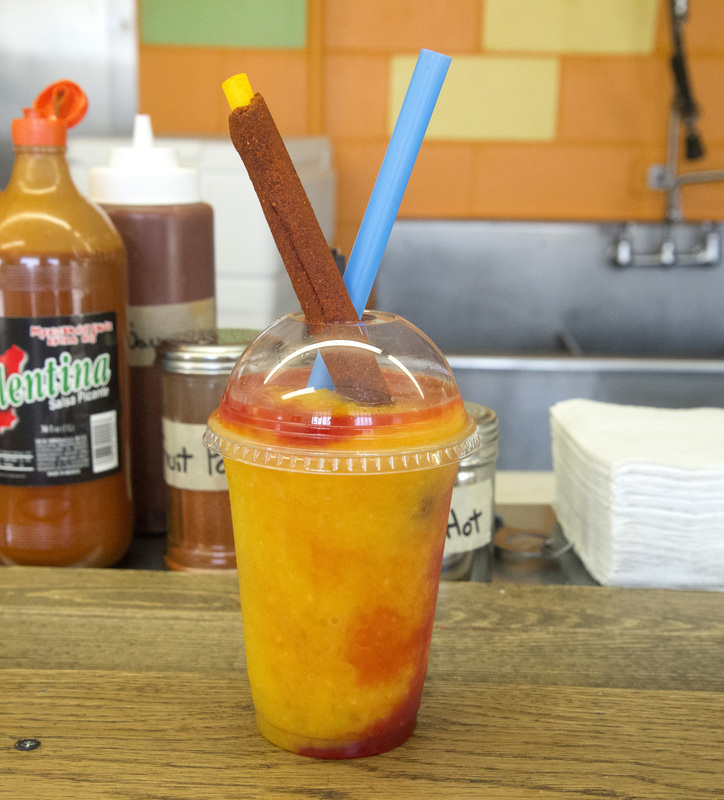 Cardona and Gonzalez add that the most popular items on their menu are the elote and mangonadas, a specialty drink made of blended mango and liquid chamoy. Every customer has his or her own favorite snack that they come looking for, they say. From a strawberries and cream dish to chips mixed with nuts and chili powder, customers have a wide variety of street foods to choose from. “Traditionally, in the city, the refreshments are made in a certain way and we try our best to make everything as natural as possible,” Cardona says. The Hay Elotes owners say their goal for the next year is to establish a name for themselves and one day open another location, but they plan to always keep the quality of their service in mind. “We want our customers to know us for a good product and be a spear point in Austin for the Hispanic flavor,” Gonzalez says.